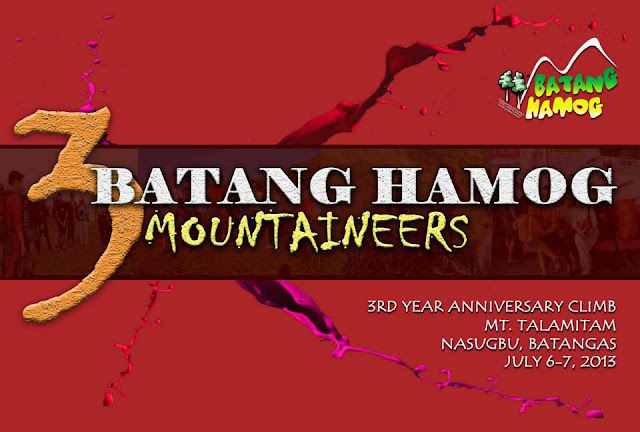 Original plan was Mount Maculot, but two days before the climb, it was changed to Mount Talamitam in Nasugbu, Batangas. It reaches 630+ MASL with a gorgeous ambiance on top and its one hundred meters assault to the summit added an amazing experience to the hikers. Mount Batulao and Mount Pico de Loro were just two of the well known mountains nearby. Our journey started at the registration area, it was around 10:30 in the evening. It was my second night trek, after Mt. Gulugod Baboy; I was not comfortable walking on the trail because I don’t like narrow and dark places. Then, 1:20 in the morning we reached the camp site. Pitched our tents. Prepared our late dinner and followed by socials until sun rise. Most of us took a nap during sunrise while the others started preparing for breakfast and taking photos. The warm sun shine penetrated the tent cover and woke me up. I have no other option but to get out the tent and join the others for breakfast, followed by taking group shoots, breakcamp and descent. During our ascent, we have no idea what’s on the trail since it was too dark, but during our descent we witnessed the amazing background of Mt. Talamitam. From afar, the jagged appearance of Mt. Batulao can be seen. The trail is well established and the terrain is covered with huge cogon grass and trees. Of course, the shape of Talamitam is another reason why you need to put it on your bucket list. Another part of our Mt. Talamitam adventure was walking by the river, with cool and crystal clear waters. The area is surrounded by relaxing green colors, fruit bearing trees and flowers. Ulam namin? Ayun sa likod, crispy PATA ni Ginger. We reached the registration area at around 1 PM. Took a short break and prepared our lunch. Tidy up and left the registration area at 5 PM. 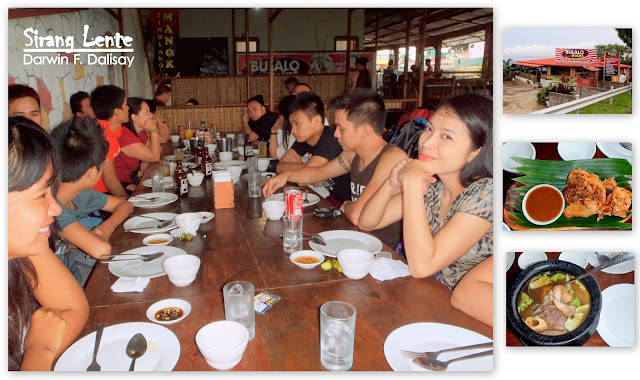 We chartered a jeep going to Tagaytay Crossing for a Bulalo break at Bulalo Point. At Bulalo Point, stories and chit-chat continues. But when our order arrived, everyone was silent. This anniversary climb was remarkable and was full of laughter and fun. We also thank our new friends, Sir Aries and Sir Noel for joining us. Till next time! Our group met at the bus terminal beside MRT Taft/EDSA and took a bus going to Bayabasan. Took a break and late dinner at the Bakery by the highway. Then, had long walk to DENR, for registration and met our two guides. Going Back to Manila: After the climb, we chartered a jeepney to Tagaytay Crossing for Bulalo break. Then, different jeepney to Olivares and rode in a Van to Alabang.